I hope that President Obama commuted Manning’s unjust sentence not as a sop to transgenders, but as a sign that a bit of humanity still remains in the outgoing war criminal president. Manning did his duty and reported US war crimes by releasing the astounding video of US troops murdering innocent people and journalists walking along a street and then murdering a father and his two young children who stopped to help the wounded left on the street by the US helicopter gunship or drone or whatever the murder device was. The video reveals US troops playing video kill games with real people. Manning’s reward was to be held for two years in solidary confinement in torture-like conditions, which little doubt left Manning fundamentally impaired. This illegal and unconstitutional treatment was followed by a kangeroo trial in which Manning was convicted and sentenced to 35 years in prison for doing his duty. Julian Assange, also falsely accused and mistreated, must not turn himself over in exchange for the commutation of Manning’s sentence, or he will suffere the same fate. Any truth-teller who falls into the hands of the US government is doomed. The US government hates nothing worse than it hates the truth. Obama’s failures as president would fill an encyclopedia. Obama might have destroyed the Democratic Party by his failure to commute the sentence of falsely charged and falsely convicted Alabama Governor Don Siegelman. Indeed, Obama could have ordered a US Justice Department investigation that almost certainly would have resulted in prison sentences for the Republican Alabama politicians, Republican US attorneys, Republican federal judges and Republican operative Karl Rove who participated in one of the most obvious frameups in human history. More than 100 Democratic and Republican former attorneys general and officials condemned the prosecution of Siegelman as politically-inspired prosecutorial misconduct. Yet Obama did nothing. By doing nothing for Siegelman, Obama demonstrated to every Democrat that they were on their own if they won elections in Republican political strongholds. 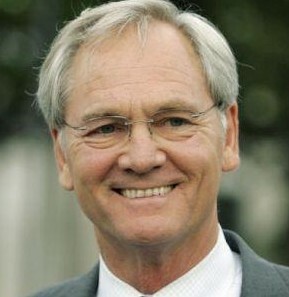 Don Siegelman is the only person in the history of Alabama to have been elected to serve in all of the top four statewide elected offices. He was very popular and did extraordinary good for the people and state of Alabama. That the Republicans were able to remove from office and imprison the most decent man in Alabama public life despite eight years of a Democratic President and Department of Justice is a surefire indication that no Democratic politician can trust the Democratic Party to come to his aid when he comes under attack from the Karl Rove Gang.